HoldMyTicket - HoldMyTicket and the Taos Mountain Music Festival. HoldMyTicket and the Taos Mountain Music Festival. On the day after HoldMyTicket's staff climbed to the top of Wheeler Peak (the highest mountain in New Mexico) we managed to pull ourselves together, ignore the sunburn, sore legs and go scan a few thousand tickets for fans anxiously arriving at the Taos Mountain Music Festival at Taos Ski Valley, NM. The dodgy mountain internet had some people involved worried, but it did not affect our ability to quickly scan and validate attendees with our nifty mobile box office devices. In fact, our free-standing box office validation solution just became faster, even if there is no internet available. Even the fact that many people "forgot" to print or bring their print at home tickets with them did not slow us down. Our mobile devices allowed us to quickly check IDs and get people through the gates. I can't even remember a time through out the day that we even had a line of people waiting! 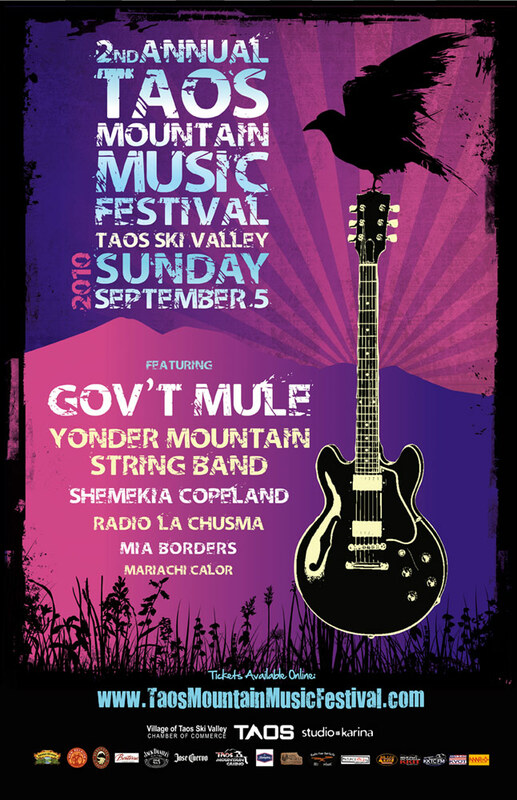 This year was a pleasure handling ticketing for the Taos Mountain Music Festival 2010. We want to thank everyone for their help and support! See you next year in Taos!